Most of the Thunar Custom Actions and script have i found on the internet. The script have i modified to suit my need, and made it translatable. Click the plus button to the left. 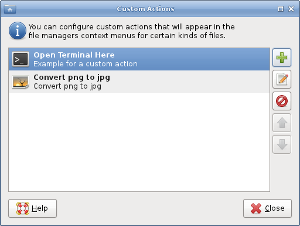 Enter the name (eg convert png to jpg). 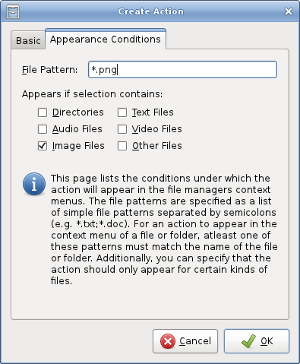 Type in a description (eg convert png to jpg). 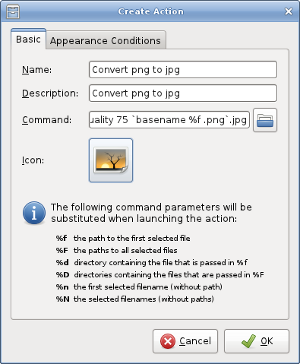 Enter the command (eg convert %f -quality 75 `basename %f .png`.jpg). 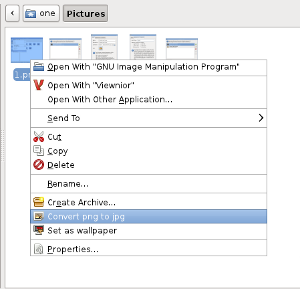 Select an appropriate icon (eg gnome-mime-image). 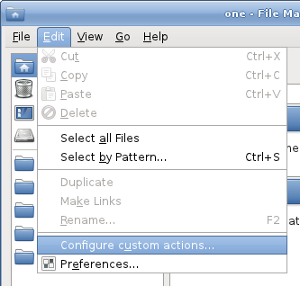 In the file pattern (eg *.png). 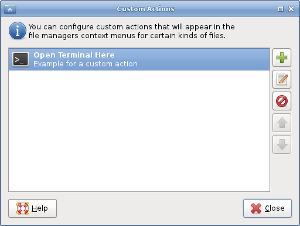 Now you can use your new Custom Action.